I would like to allow users to create custom forms in a CMS I am building. While on a broader level, it seems to be quite simple, let the user create the form and save it, the little details seems to be much more complicated. I have identified 2 main ways. User creates the form in a seperate form module. He then visits the pages module and adds the form to that page. This is similiar to how cform II works in wordpress. User creates a page. A form button allows them to add a form inline using the rich text editor. This probably the most straight forward, with the task being focused towards what they are trying to archieve (create a page with a form). If the user creates a form in a page, and then discards the whole page, then the form is discard. If the user comes back to the page after publishing the page and deletes the form, what should be done with the form? Should the data collected from the form be deleted as well? Option 1 is the easiest to implement, but at the same time, it might seem confusing to users. From the user's point of view, all they want is to create a page with a form inside. They do not think about creating a form, and then inserting it into a page. Option 2 seems to be the most user friendly, but it also introduces more complexity. At the same time, they would need to visit the "forms module" to retrive the data anyway. This may result in some confusion as well. first up, the big difference between the 2 ways, option #1 provides a way for you to use the created form in multiple pages, is that a feature that is not of importance to your particular application? If you think users will reuse their forms then go with #1 irrespective of every other pro and con. I would suggest you treat your form and it's corresponding data as an 'asset' like the way you treat images. You don't delete it when you delete the page it belongs to. This again boils down to weather the users are likely to use the same form again. To simplify the process of creating a page with a form, you could provide an 'Insert Form' option in the Create Page RTE that lets you either Create a New form (saved automatically for future reuse) or Select an existing form to insert; all from a model window. That ensures that the user doesn't have to do any preprocessing before he starts creating the page, which is his primary aim. I'd agree with you on Option 2. 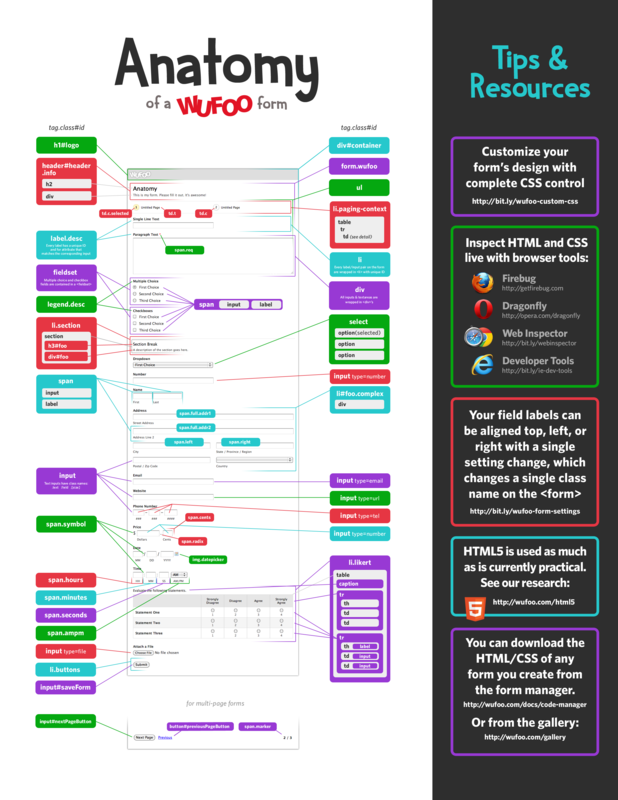 Try wufoo.com for form creation usability. Their blog is excellent on the html structure they use for creating forms and all the other ways that you can use their forms. Not the answer you're looking for? Browse other questions tagged forms workflow or ask your own question. Best prototyping tool for form layout/order that caters for non-ux people? Design patterns for Complex Financial forms.? Which validation error message to use for user form? Best approach to handling complicated forms with related items?